HMD Global announced today that Nokia 5.1 Plus will now be available in higher memory variant of 6GB / 64GB, as well as of 4GB / 64GB. 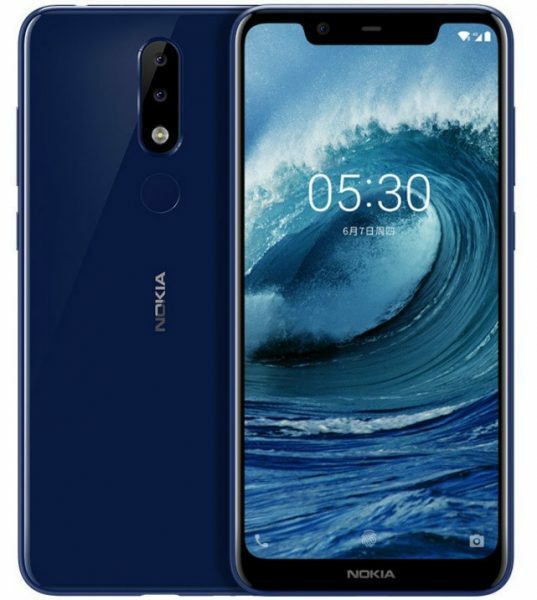 It will be available starting 7th February 2019 online on Nokia.com/phones; and starting 12th February 2019 across top mobile retail outlets in India in three colour options of Gloss Black, Gloss White and Gloss Midnight Blue. Nokia 5.1 Plus is available at a recommended best buy price of INR 16,499 for the memory variant of 6GB/64GB and INR 14,499 for the memory variant of 4GB/64GB. You may recall that Nokia 5.1 Plus was launched in India in the month of September, 2018 for Rs. 10,999 for the 3GB RAM and 32GB ROM variant. On the specifications front, Nokia 5.1 Plus has 5.86 inch ( 720×1520 pixels) HD+ display with an aspect ratio of 19:9 and 2.5D curved front and rear glass. It is powered by Octa Core MediaTek Helio P60 processor. This phone is packed with 3060mAh battery. This is Dual SIM phone and runs Android Pie. This phone has fingerprint sensor on the back and also incorporates face recognition feature. It offers connectivity options of Dual 4G VoLTE, WiFi 802.11 ac, Bluetooth 4.2, USB Type-C and GPS. For imaging, this phone comes with dual rear cameras of 13MP and 5MP with electronic video stabilisation and Phase Detection Auto Focus. For selfies, this phone has 8MP front camera with 80.4-degree wide-angle lens. On purchase of this phone, Airtel customers will receive INR 2,000 instant cashback and 240 GB data over 12 months on the plans of INR 199, INR 249 and INR 448.